Depressed teenagers are difficult to deal with. Emotional and sometimes physical pain make them itchy and irritated. They don’t know how to feel better. That makes them even more frustrated, depressed, and angry. Parents have a hard time when dealing with them. Ironically, they are also in the best position to help a depressed teen. But how can they do it? That’s the biggest question. Your teen is sad and irritated most part of the day. She has forgotten to enjoy life and lost interest in many things. She doesn’t have any motivation to do anything. Her food habits have changed. She can’t sleep properly at night. She has lost all hope about her future. She feels guilty for all the mishaps even though it’s not her fault. She can’t concentrate on her studies. She fails to do work properly due to lack of confidence. Sometimes she feels suicidal and doesn’t want to live anymore. She gets angry at trivial matters. She sobs and cries frequently. She can’t accept any kind of criticism. What can you do to help your depressed teenager? A strong and positive parent-child bond can help to cure depression. So the first thing that you need to do is develop a strong bond with your depressed child. Talk to your child every day. A depressed teenager may not like to disclose all her feelings and emotions. You have to be patient and positive. You have to take the first step. You have to appreciate her efforts in every aspect of life – studies, music, sports, relationships, etc. Give a positive feedback when she behaves properly. It is important to know how your child is feeling. It is necessary to know what is going through her mind. So talk to her. Find out what is happening in her life. Even if she doesn’t want to reveal, let her know that you’re there for her. That might help to make her feel better. A depressed teenager has a likelihood to be angry at trivial matters. A petty incident can make her angry and lead to heated arguments. You have to deal with her calmly and give constant reassurance. Aggression won’t help you in this situation. If your child stops talking to you, then try to spend time with her in the same room. Even if you’re not speaking to her, a caring attitude can help a lot. Depression has nothing to do with the latest gadgets or branded clothes. It has nothing to do with the privileges your teen gets in her life. It’s about how your teen perceives herself and the world. Try to understand your teen’s feelings. This may help you to understand her problem and solve it. When should you seek professional help for your depressed teen? Some parents wait and hope that depression will get better on its own. But it never happens. Untreated depression can cause serious problems like behavioural issues and substance abuse. It becomes difficult to overcome major illnesses. So when should you consult a psychiatrist for your depressed teen? The best tip is to consult a psychiatrist when your teen has major mood fluctuations or behavioural changes. If you see that those changes persist for more than a few weeks, then you should consult a psychiatrist immediately. The psychiatrist can help you understand the reason behind the mood swings and personality changes. A mental health professional or a psychiatrist can help to treat depression with medication and psychotherapy. He can create an individualized treatment to help your teen lead a happy life. So watch out for a good mental health clinic near you and book an appointment as soon as you can. Mental health professionals are quite busy. It may take time to get an appointment. Hurry up!!! Consider yourself fortunate if your teen agrees to consult a psychiatrist when you ask her. If your teen refuses to visit a mental health clinic, then you have to wait and guide her toward treatment. Try saying, “I know you’re fighting a tough battle. A psychiatrist can suggest you the strategies to win that battle comfortably, If you do change your mind, let me know. I will consult a good psychiatrist to help you overcome your problems.” This might convince her to consult a psychiatrist. Next article What’s wrong watching television in the dark? 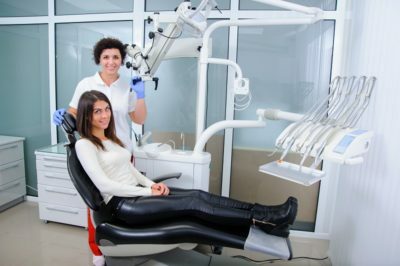 What is the Laser Dentistry and Why it is Useful?